Now that the new Block-of-the-Month has started at Sew Sweet Quilt Shop, finished quilt tops from last year’s BOM are starting to magically appear! I’m always thrilled to see something I’ve designed made in someone else’s own way. 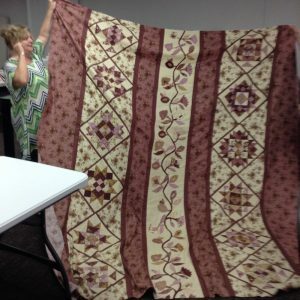 Here’s the original post with the quilt pictures of the Brunswick Sampler. Even though the colors were pretty much decided for these because the blocks were passed out as kits, each person has come up with their own setting, and so far, I love them all! 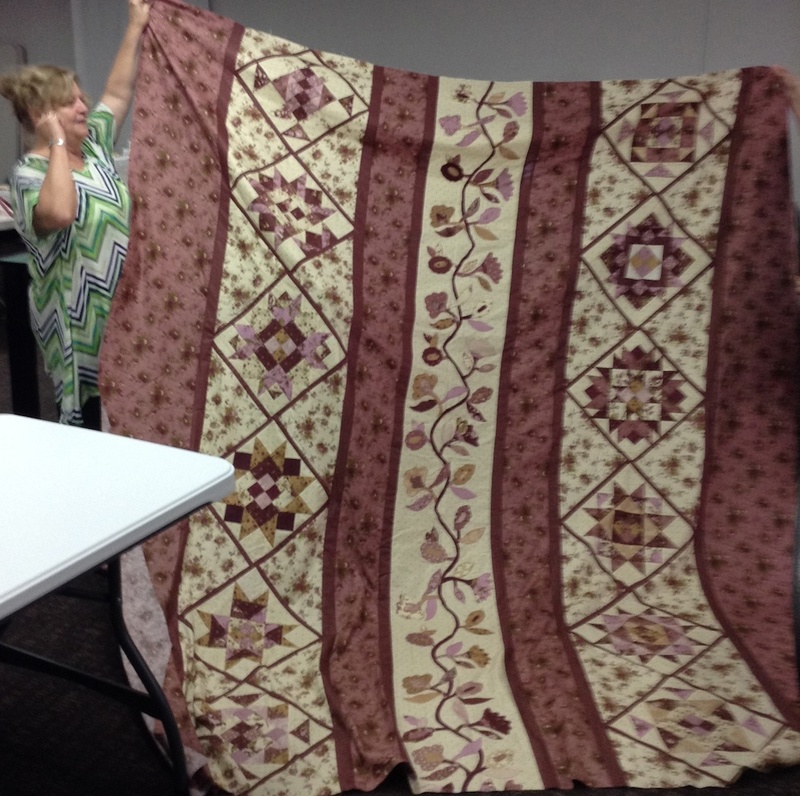 Jean finished hers with the applique, and a different and very rich-looking border fabric. 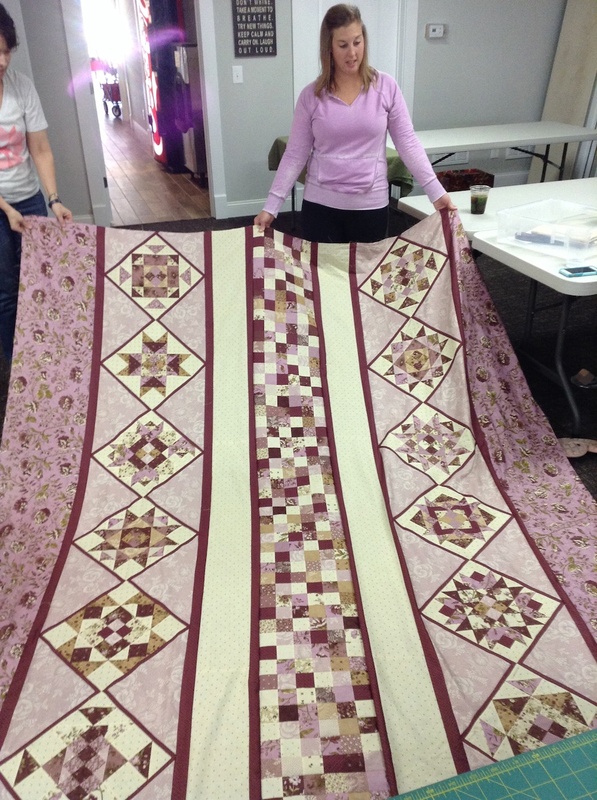 Amy used yet another border fabric for hers, and those pink setting triangles are genius! 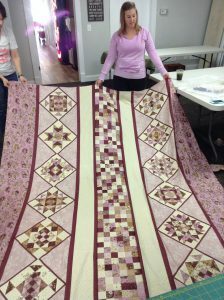 Amy also chose to do the pieced center section, so I was thrilled to see a version including that. And Janet has done her original blocks, and started a second set in another colorway! 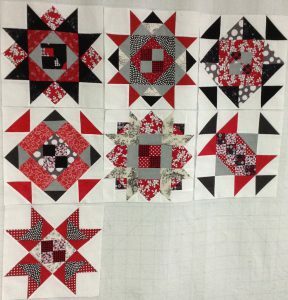 I think I’m most excited about seeing all these red, black, and white blocks come together into a project! Jeanette has also made one, and used a completely different setting, but I don’t have a picture of it right now, so I’ll have to show hers to you a bit later on. Now that the shop is finished running the BOM program for the Brunswick Sampler, I have the pattern booklet listed in my Etsy shop. 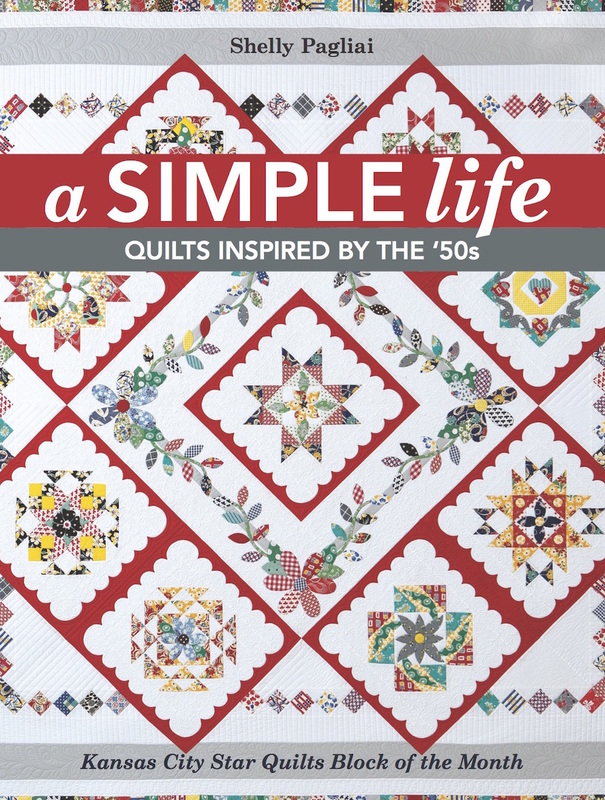 So if you’d like to make yourself one of these quilts, but didn’t get in on it through the shop last year, now’s your chance! The booklet contains the patterns for all twelve blocks and instructions for the three different settings, plus several little extra goodies included in the booklet. If you’d prefer to get in on this year’s Block-of-the-Month with Sew Sweet instead, it’s not too late. 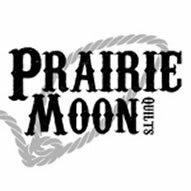 You can find all that information HERE, along with a link to the shop to read about how you can get signed up and get going. 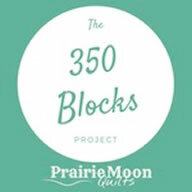 The first block just came out last Saturday, so you’re not too late! I now have 10 of the red/black/white/grey blocks done and they are stunning. This pattern is just terrific for these colors. Actually the pattern is so amazing I suspect it would be beautiful with any color combo.